Yearbook classifieds for Burch yearbooks are listed below. If you want to see if others from Delbarton, WV high schools want to make a trade for a yearbook, post your info below. I would like to have a yearbook from the class of 2000 and from the class of 2002. Please let me know if there is any available. A copy of one would work if anyone has one i would pay to get it copied. Looking for yearbooks from 1971-74. 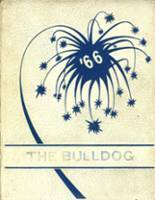 Looking to find a year book for 1970 Burch High School, Delbarton, WV.